When going through a divorce, your children need special attention before, during and after your divorce to help them get through this very difficult time. 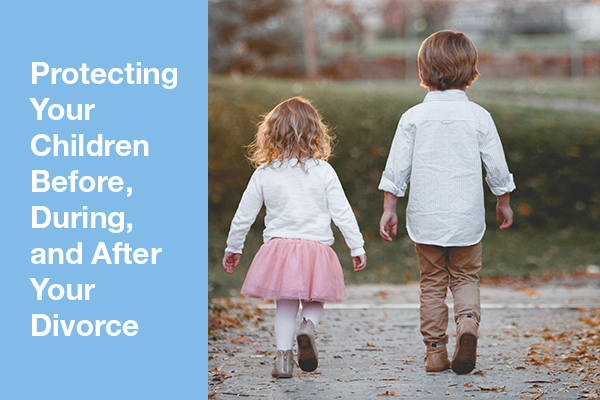 Published by the American Bar Association, “Protecting Your Children Before, During, and After Your Divorce” outlines ways of helping your children get through the struggle of divorce. The recommendations start with drafting a child agreement that outlines your commitments to your children throughout the divorce proceedings. The goal of this article is to help you manage parental responsibilities throughout this challenging time in your life and the lives of your children. Family Advocate, Vol. 41, No. 1. (Summer 2018). © 2018 American Bar Association. All rights reserved.